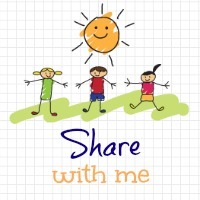 Share With Me will still go ahead all summer long while we are traveling, just be patient with me that I may take a while to comment on all posts each week, but I WILL comment on them eventually, I promise. No one will be forgotten here. My favorite link up from last week was from the awesome Slouching Towards Thatcham – An Open Letter to Brands. So true and every blogger should stand their ground. Read it again here. Oh welcome and thanks for stopping by and joining in. I hope you enjoy my blog hop. I look forward to reading them all tonight. Thanks for joining in and looking forward to reading them.